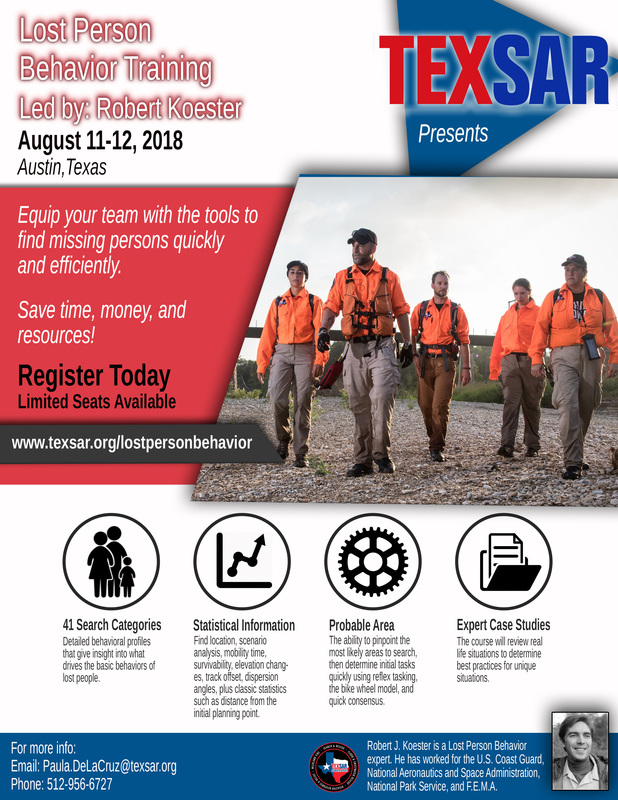 TEXSAR will be hosting a Lost Person Behavior Training led by Robert Koester, the Lost Person Behavior Science Expert, on August 11th and 12th. The training will be hosted in Austin, TX and is open to the public. The training is $425 per person and will include training materials, a completion certificate, and lunch both days. This training is one of a kind and we are inviting and encouraging local agencies to attend. 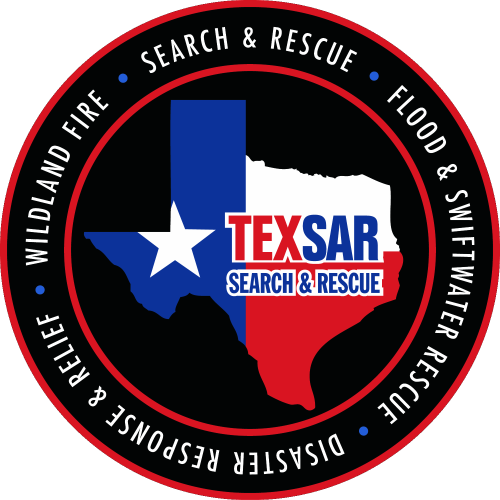 With hundreds of missing persons a year in Texas, our goal is to find them quicker and ultimately get them home safe to their families. For registration and more information please visit www.texsar.org/lostpersonbehavior or contact TEXSAR at 512-956-6727 or info@texsar.org.